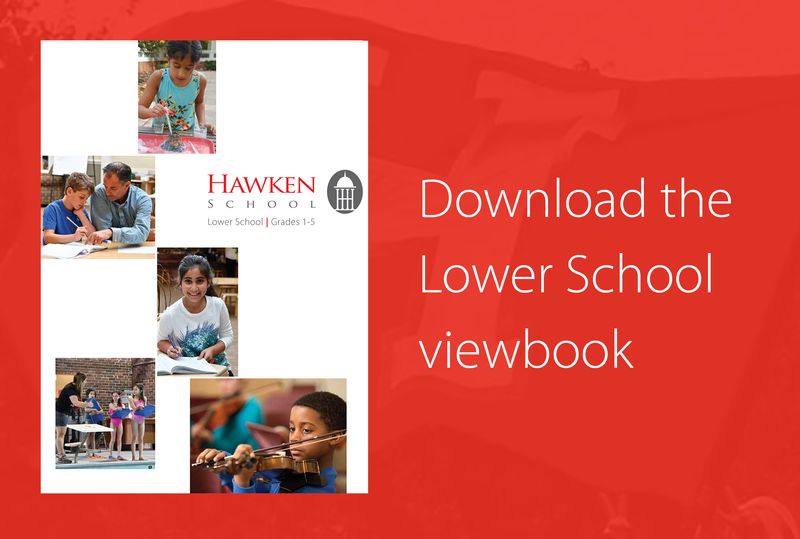 At Hawken, we put your child at the center of learning. Through developmentally appropriate activities, students learn to manage time and to think both critically and creatively. Our caring and dedicated teachers create a supportive atmosphere where children feel comfortable making choices and taking intellectual risks. As a result, your child will discover the joy of learning and come to understand that there is more than one way to come to a solution. Establishing a solid academic infrastructure at an early age is essential to intellectual development. Our program focuses on a providing a strong foundation in basic academic skills with an increasing emphasis on personal responsibility. In addition to a focus on foundational skills, our schedule provides time for enrichment activities and collaborative work. Your child will learn to explore, ask questions, investigate and share knowledge. Varied teaching methodologies ensure that all learning styles are addressed. This results in a deeper, more genuine learning experience. Our approach to learning is tailored to the needs and readiness of students in each grade level. For students in grades 1 and 2, the learning experience focuses on five domains of learning: social emotional, approaches to learning, language and literacy, cognitive, and physical. These domains encompass the core academic discipline, addressing each subject area from a developmental perspective, because each child progresses at varying rates within each discipline. Our exemplary program for students in grades 3-5 challenges students to develop self-awareness as independent learners, assume personal responsibility for academic learning and social behavior, and balance self-interest with active membership in the larger community. With this in mind, the learning experience is organized according to three pillars: social/emotional, cognitive development, and approaches to learning. Hawken’s nationally recognized Developmental Continuum is our primary student assessment tool. A personal portfolio highlighting your child’s academic and social experience, this electronic document represents a collection of work over an extended period of time and fills the role traditionally taken by school report cards. This meaningful method of assessment represents our child-centered approach by honoring and celebrating the fact that children learn in different ways and at different rates. As teachers share what your child looks like as a learner through a sequence of benchmarks designating specific progression of development and anecdotal observations, parents are equipped with the knowledge and tools they need to support academic and social growth. 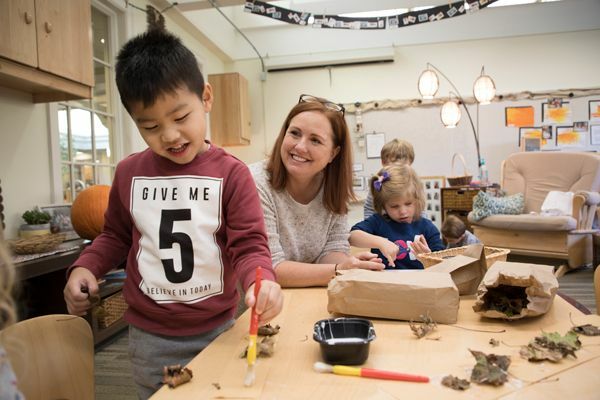 Because children learn best when they feel known and valued, our teachers focus on creating a physically and emotionally safe environment that sets the tone for instilling innate curiosity, a genuine sense of value and belonging, and a positive attitude toward learning. From greeting each classmate by name each day to a hug or handshake from the teacher at the end of the day, students understand that they are members of a warm and accepting community. In a supportive atmosphere that emphasizes responsibility and engagement, students learn how to use respectful language and to appreciate differences. Leading assemblies, sharing in Morning Meeting, or participating in service learning opportunities instill a sense of relevance, responsibility, pride, and empowerment in children, setting the stage for confident and authentic intellectual and social development. Click here to read more about learning spaces at Hawken. Hawken's Hurwitz Hall opened in the fall of 2013, completing the Lyndhurst campus renovation. Read more here.